This Corporate Cottage has a separate entrance and does not connect with the other units, except for housekeeping chores. This unit has full parking onsite. Suitable for larger trucks. This is one of two units that has 2 beds. 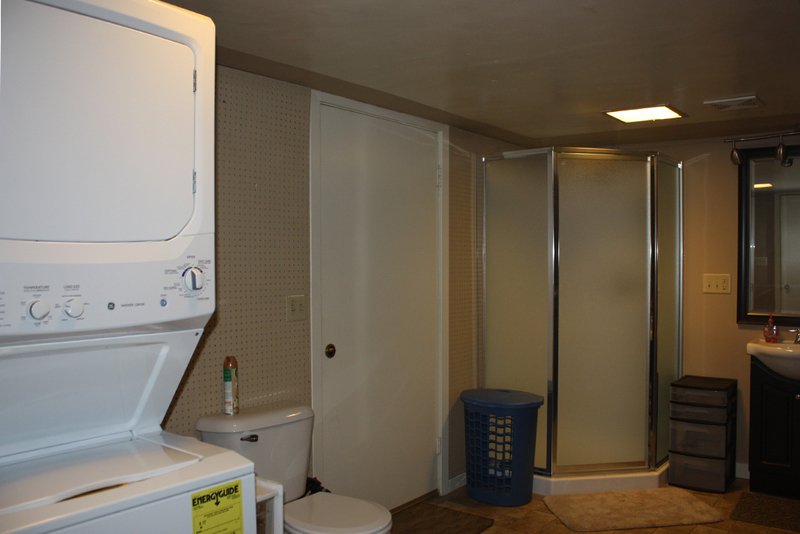 Private laundry makes this unit special. 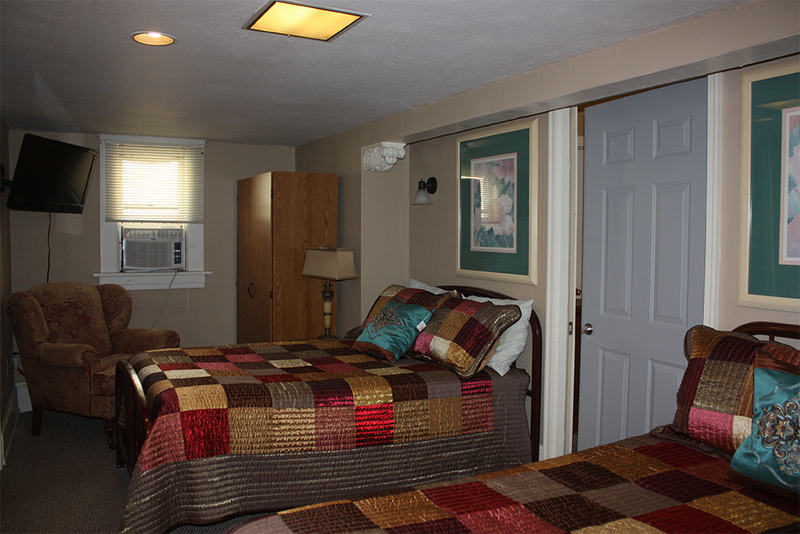 This unit also has a window air conditioner and heat, and also has hot water heat in the building. 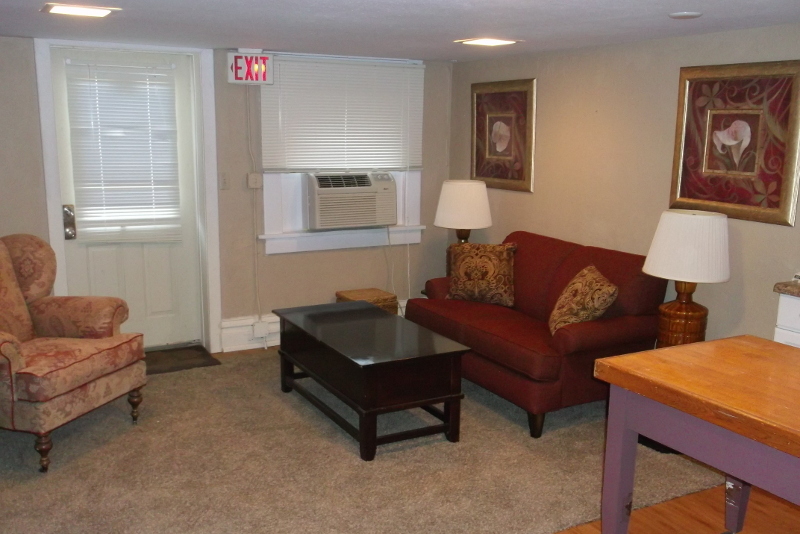 The corporate cottage has 2 flat screen TV's; one in the bedroom and one in the living area. 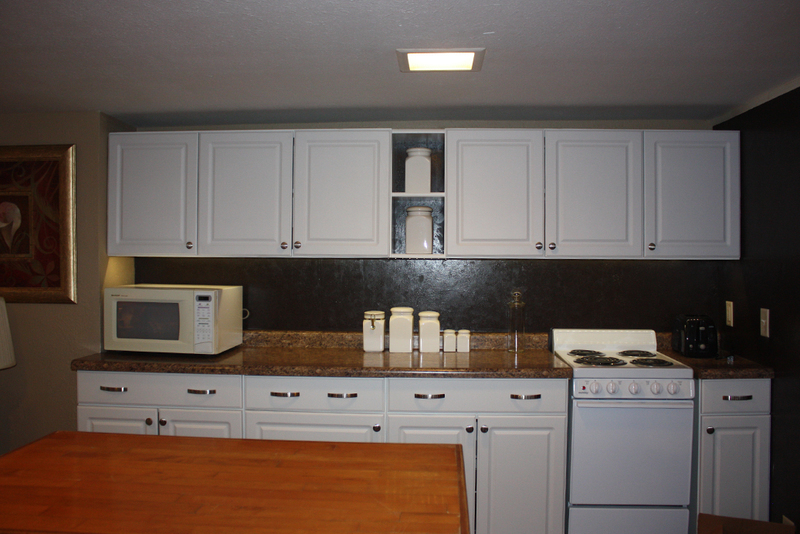 There is a small kitchen with an apartment size electric oven and full fridge. Coffee pot and toaster, crock pot and all of the utensils to make dinner and have leftovers to pack a nice lunch for the next day. The bath has a corner shower and the bedroom has 2 full size beds. Cleaning is provided every other week (full linen changes, etc). Mid week cleaning is by the guest. Please report any breakage or damage by leaving a note for housekeeping and management. A great alternative to the average extended stay hotel/motel in the Watertown, South Dakota area. Copyright © 2017 Watertown Executive Suites and it's licensors.